Happy 2014 everyone!!! Make it an amazing one, with lots of good health, good food, and good times. Here is the ginger cookie recipe, the last of three from my trio of holiday gift cookies that I had given for Christmas… Here are the Oatmeal Cranberry Orange Glaze and Red Velvet Crinkle cookies. I know, finally. I was hoping to get this out to you sooner, but you know, life happens. It is a recipe worth waiting for (wink, wink), so there! Gosh it’s New Year’s day yet it feels like Christmas was ages ago, doesn’t it? This is one of my favorite cookies, it not only tastes delish, it also makes the house smell amazing. Ginger, Cinnamon, Cloves…love those spices. And did I mention these are allergen-free and vegan? Yep, good stuff. These cookies are a lovely hostess gift anytime of the year, with or without the chocolate, especially during the holidays. 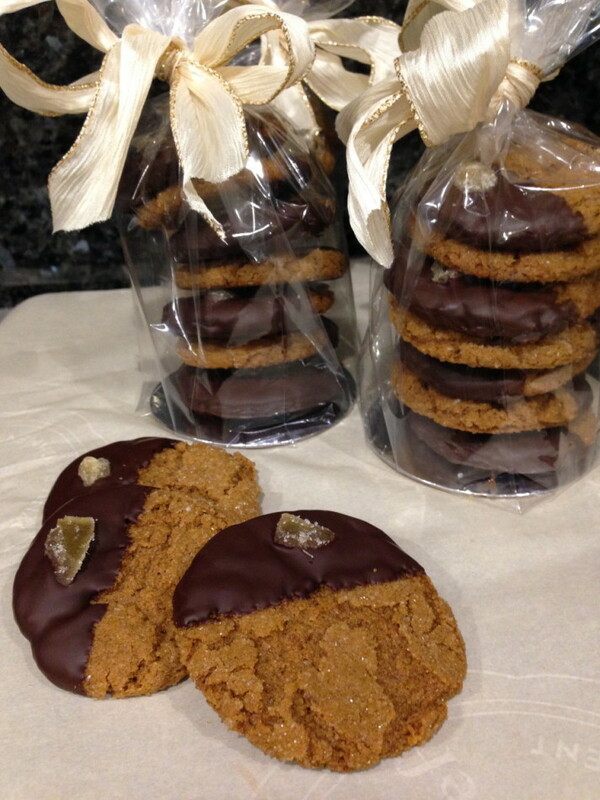 Or afternoon tea with cookies, yum. Super easy to make and freezes well. Enjoy! Note: These cookies are delicious without the glaze, but super pretty and decadent with the dipped chocolate, especially for gift giving. Try them both ways. Whisk to combine flours, ginger, cinnamon, clove, and baking soda in a small bowl, set aside. 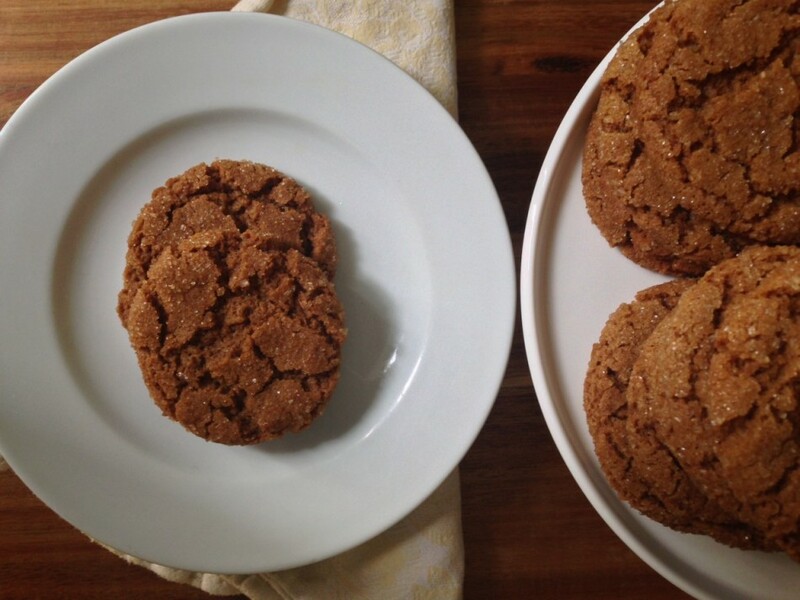 In a stand mixer fitted with a paddle attachment, or with a hand mixer set on low speed, combine light brown sugar, earth balance, molasses, and applesauce until just combined. Then raise speed to medium for 2 minutes, add the dry blend slowly and beat for 2-3 minutes, or until well blended. Scrape back in any remaining dry ingredients left at the bottom of the bowl, using a rubber spatula, or wooden spoon. It will be dense. Wrap dough in wax paper and let chill in the refrigerator for 1-2 hours. Note: not necessary to chill the dough unless you are working in a hot kitchen, otherwise, continue to prepare cookies for baking. Combine cane and demerara sugars in a small shallow bowl, set aside. Shape cookie dough into 1 inch balls between the palms of your hands. Do not press down. Then dip each ball into the sugar crystals.Make sure to get a good amount of sugar all around for that pretty crackle. 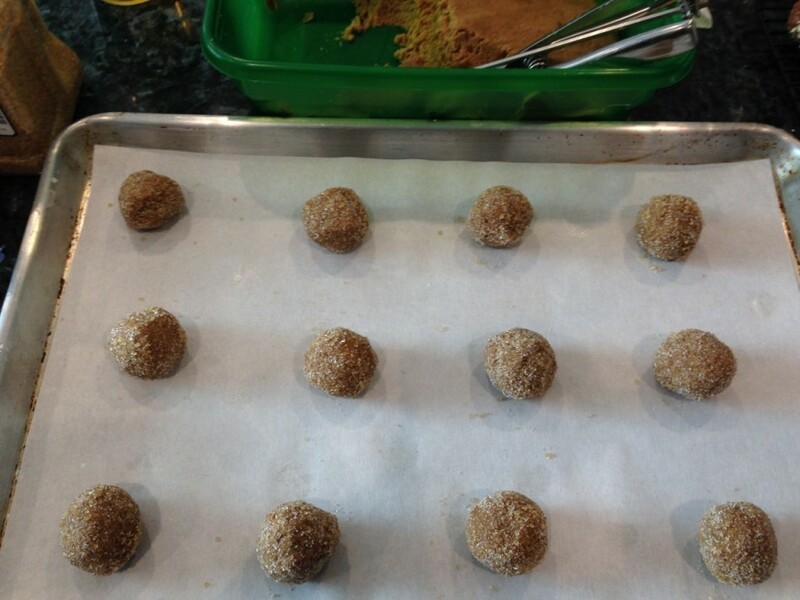 Place balls onto baking sheets leaving 2 inches of space around each. They don’t spread much, but spreading out helps gives them heat circulation. 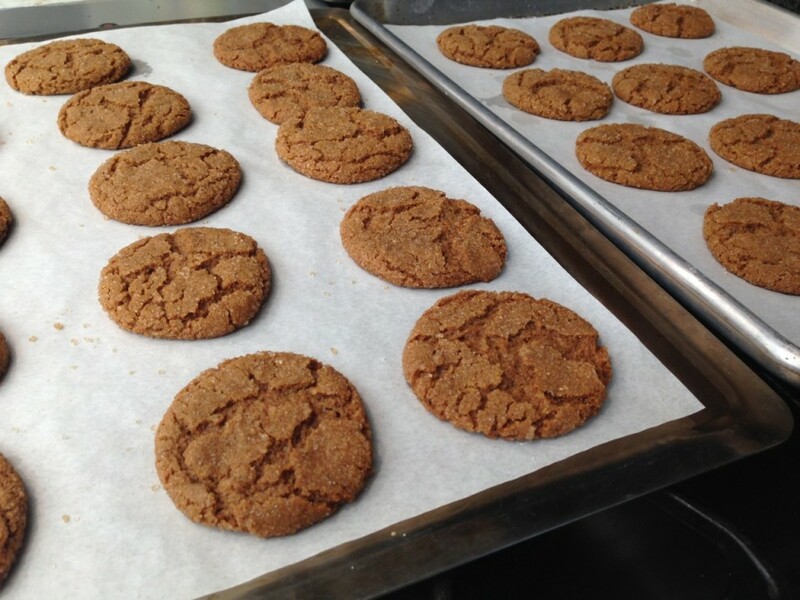 Update Note: I adjusted my recipe to bake at 375 F instead of 350 F, which doesn’t require the pressing down of each ball common for ginger cookies. The higher baking temp has also given my cookies a crunchy exterior with a softer center. If your dough is very chilled (resists a thumb imprint) you may want to slightly press them down to ensure they will spread. Bake for 9-11 minutes (9 minutes if you like them chewy). 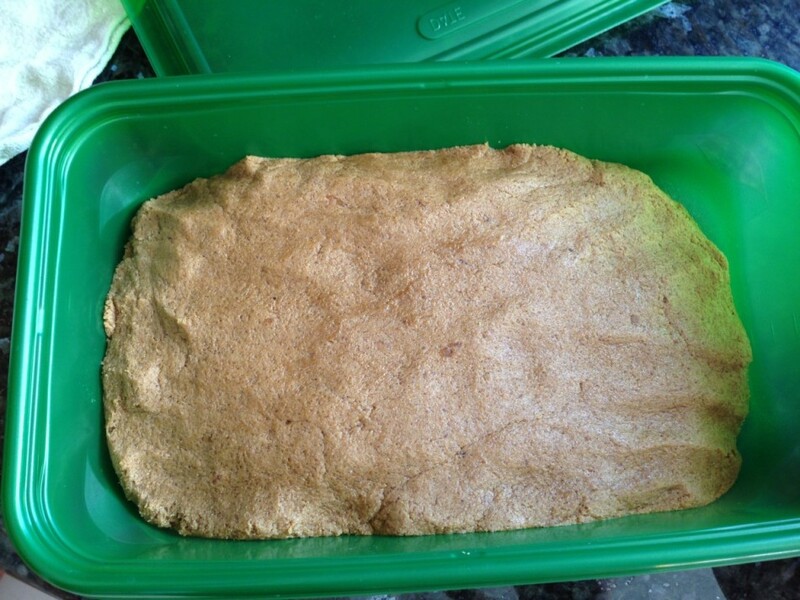 Let cool on the baking sheets for 10 minutes before transferring to a cooling rack to cool completely. I needed to have some cookies before dipping, wouldn’t you? Set a small saucepan over medium heat filled a third of the way with water, let it come to a simmer. Place a glass bowl or other heatproof bowl over, making sure the bowl does not touch the simmering water, or it may burn the chocolate. Add chocolate chunks and 1 tablespoon earth balance, stir occasionally until melted. Take the bowl off the saucepan and let it cool 10-15 minutes before dipping the cookies. Place a baking sheet under a cooling rack (or line your baking sheet with wax paper). Dip each cookie halfway then place on baking sheet. 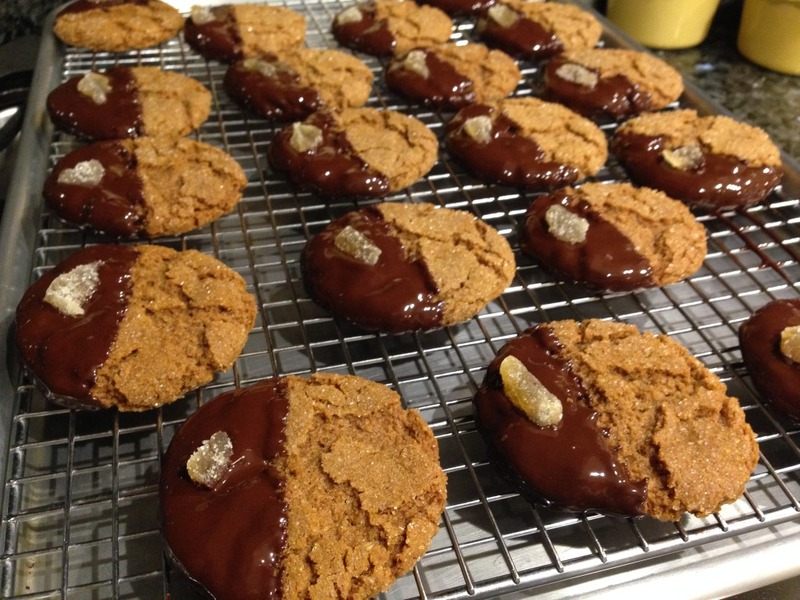 Place a little slice piece of crystallized ginger on top of the chocolate side. Before the cookies set, remove from the cooling rack and transfer it back on to your baking sheets to cool completely. The dipped cookies will stick to the cooling racks, if left to cool completely. Chill for at least an hour before serving or wrapping as food gifts. Can be stored in the refrigerator up to 5 days in an airtight container, or frozen for a month. These cookies look amazing for vegan. They actually look like cookies with butter. I don't have a mixer, will they still come like this? Some vegan cookies are hard to mix without a mixer. 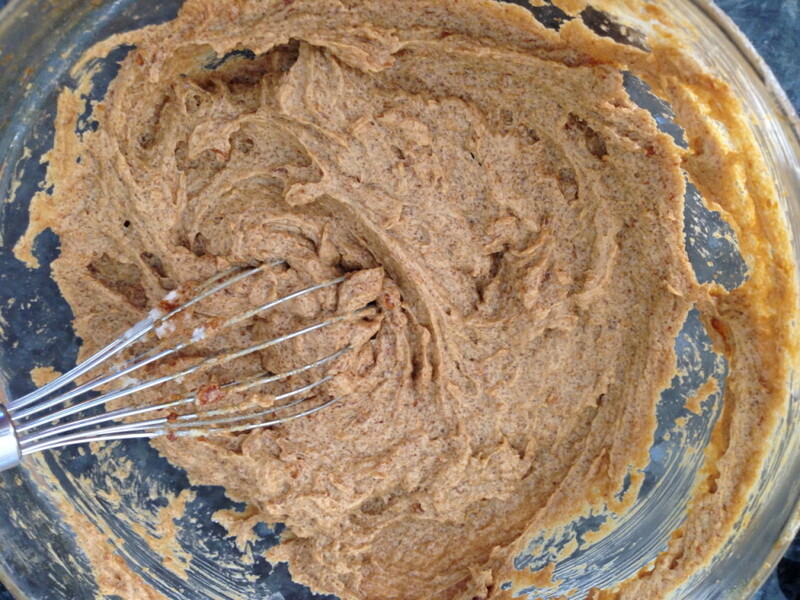 A mixer is not necessary, use a wooden spoon or large rubber spatula to fully mix the ingredients. A good bicep workout! was browsing through your cookies in the tag section and these struck me right away. will keep browing but how were these? I bet they were amazing! These holiday cookies are gorgeous! Nice idea to package as gifts. These look like the perfect holiday gift for my ginger loving gals. 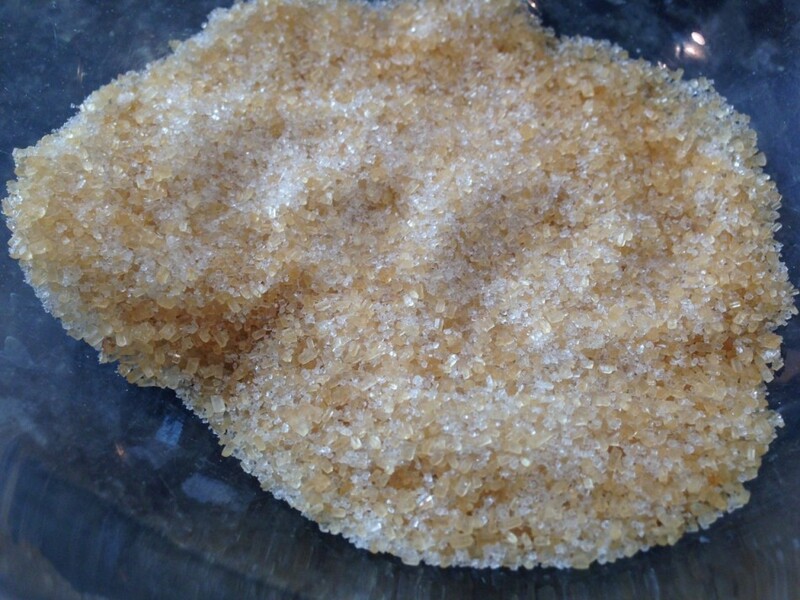 I haven't used demerara sugar before, where do I buy it? 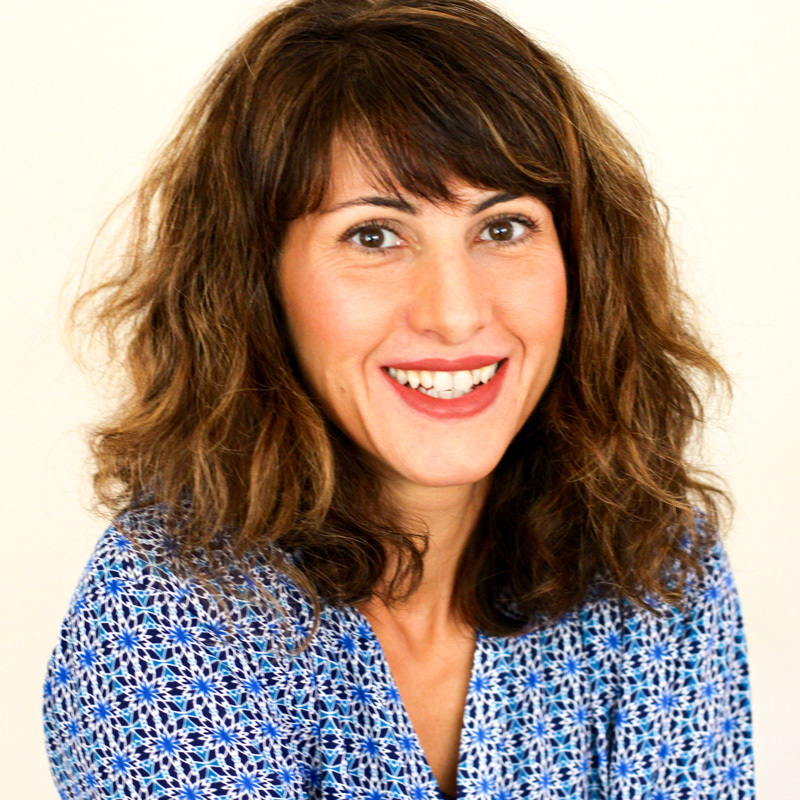 Is there another common sugar I can use? Thank you. Sue, you can find this sugar at specialty markets. If it's not available you can use a coarse raw sugar instead for rolling the dough. Enjoy! 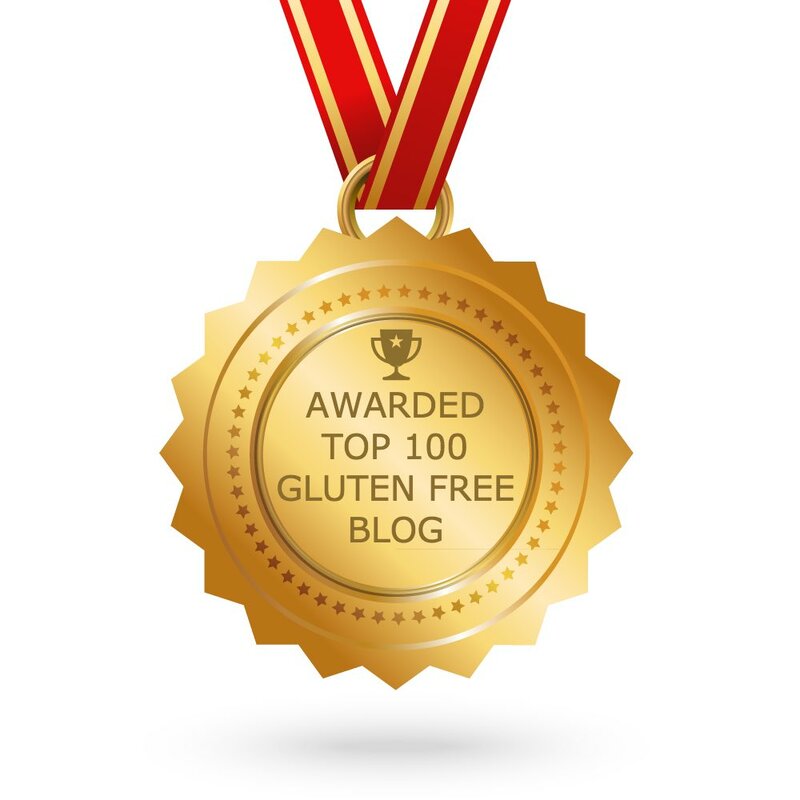 I would love to try out the recipe but wondering if I can use Bob's Red Mill gluten-free mix instead of the different flours you use? Makes it easier since already have it. Thanks. So sorry for the late reply Mary! Somehow I didn't see your comment. Hope you went ahead with your flour mix and gave it a try. These look delicious! Actually just trying to make them. I am wondering; where does the light brown sugar get used? 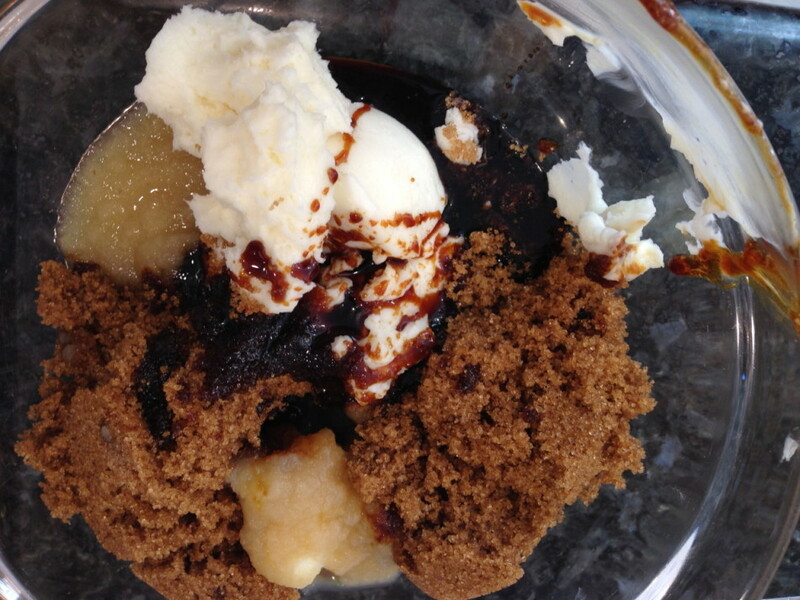 It states dark brown sugar in recipe. I'm new to this but hoping you can clarify. Thank you. 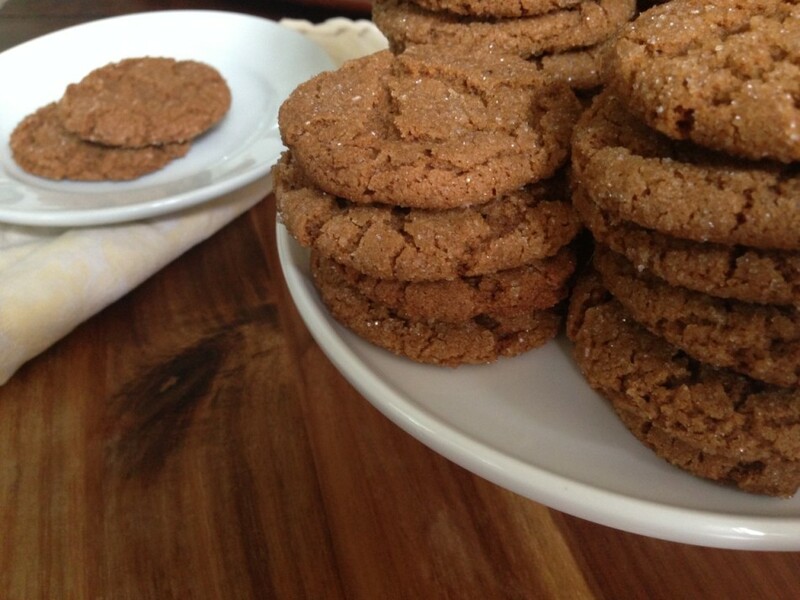 My new favorite ginger cookie recipe! YUMMMM.